Travel through the heart of the North Island on this 7 day adventure. Begin in Wellington, famous for its vibrant creative culture and fantastic food, wine, craft beer and coffee. 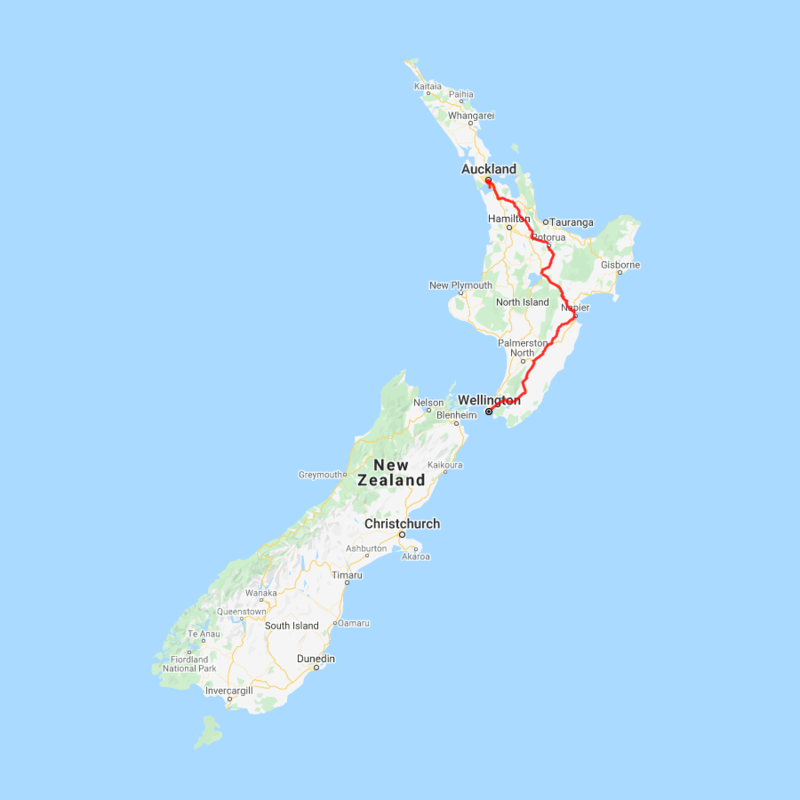 From here you will cross the Rimitaka Ranges and travel through the Wairarapa to Hawke's Bay, visiting the largest mainland gannet colony in the world. In Taupo, take a ride on the Huka Jet for a close look at the might Huka Falls, then it's on to Rotorua for a real taste of New Zealand Maori culture and a forest canopy tour. Carry on north to Auckland city, where you will climb the famous Auckland Harbor Bridge before rounding off your action packed weekend. You can expect to spend around NZ$111 in fuel cost on this itinerary based on an intermediate sized car.